4 Bedroom Semi Detached House For Sale in Tunbridge Wells for Guide Price £595,000. Guide price 595,000 - 620,000. 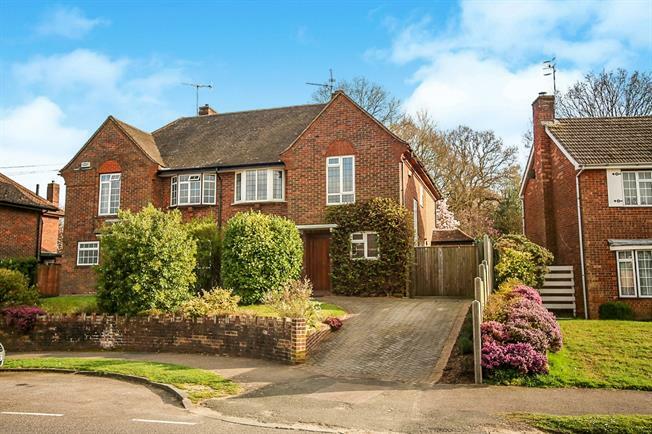 Freeman Forman are delighted to present this significantly extended four bedroom semi detached family home, located in the popular village of Langton Green. This charming family home offers unrivalled ground floor reception room space which includes an entrance hall, sitting room with a fireplace, a stunning open plan kitchen/dining room which is ideal for entertaining, a family room, study, utility room and a stylish ground floor shower room. Stairs rise from the entrance hall to the first floor landing where four bedrooms can be found along with a well appointed family bathroom. The property benefits from a gas central heating system and double glazing throughout. Outside the property has a driveway and a well maintained front garden. There is gated side access to the beautifully landscaped rear garden which is of a generous size, and offers a good level of privacy and seclusion. The local village Primary School, Public House, village green and other village amenities are a short walk away. An internal viewing of this unique family home comes highly recommended.